Maverick Slacklines, in association with Cirque Bijou, is proud to present the first UK open Trickline competition of 2014 at Bristol Harbour Festival. 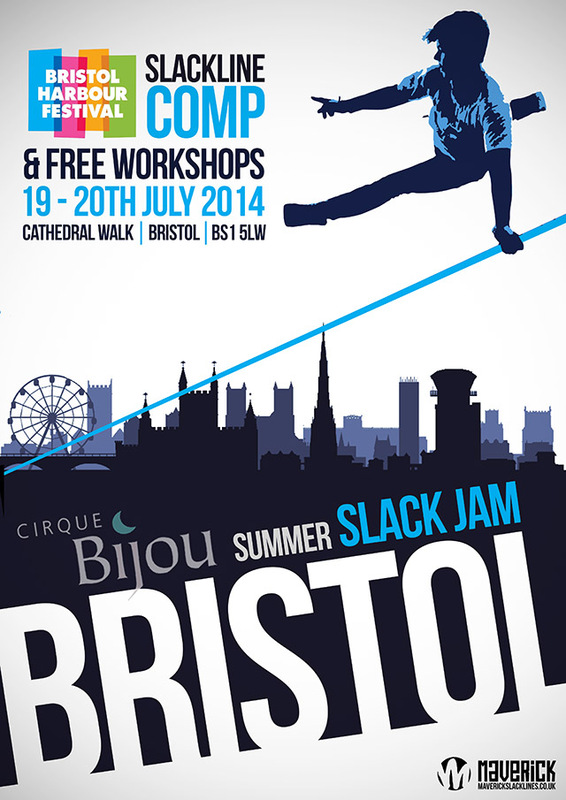 The Slackline area will be in CATHEDRAL WALK (BS1 5LW), in the center of Bristol, just a couple of minutes walk from the bus station, and will run during festival hours, 12pm -6pm Saturday and Sunday, 19th and 20th of July. There will be prizes but no cash… no WSFED rules/points… and no judges! The outcome of each battle will be decided by the other competitors. It’s just a jam…. for FUN (and for glory/bragging rights), so bring your rage-face, your trick-bag, and your lucky pants! This one’s gonna go OFF!